BW LPG says it is seeing the benefits of vessel performance monitoring and has renewed its contract with Propulsion Dynamics' CASPER service as a result. "For BW LPG, the CASPER Operations platform forms part of our performance monitoring analysis toolbox, allowing us to optimize fuel costs and reduce consumption, benefitting both commercial and environmental aspects for owned and chartered ships," says Kevin Knott, Senior Manager, Fleet Performance, BW LPG. BW LPG first implemented the CASPER analysis tool in 2015, and has since begun to use the enhanced CASPER Operations platform that adds further detail to daily reporting. "Daily deviations are now being detected by a systematic use of ship hydrodynamics at a much earlier stage, resulting in faster and more reliable analysis and thus allowing swift action to adjust performance," explains Daniel Kane, Vice President of Propulsion Dynamics' CASPER Service. 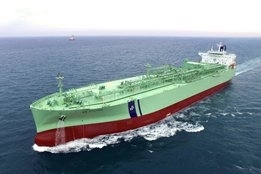 The enhanced service has been developed with help from BW LPG. "CASPER was primarily introduced to allow us to monitor and determine the amount of hull and propeller resistance of our vessels and thus the corresponding consumption at a given draft, weather and speed," says Knott. "The various BW business units were very much involved in the development of the new CASPER Operations platform and we saw the additional benefits in continuing to use it." Interest in bunker saving services such as CASPER are expected to get a boost thanks to the upcoming IMO2020 global 0.50% sulfur cap, with the industry widely expecting a jump of around 50% in bunker costs next year as a result of the new rules. With a Hong Kong based bunker trading company.